 This dataset shows all locations for services provided by the Austin / Travis County Health and Human Services Department. This is a list of battery drop off locations. Only batteries will be accepted at these locations. DO NOT put any other items in bags with batteries. These locations are not equipped to handle other types of waste. *Please call first to make sure the location is actively participating in the program. Locations change often. This feature class represents the locations of survey monuments in the City of Austin and surrounding counties. Survey monuments are also referred to as "control points". These survey monuments are being placed throughout the City of Austin and surrounding counties to aid in surveying.